Whilst managing delegates can often be a time consuming task, it is also a very important one. Our cUStomised delegate management service has been designed to turn your clients’ detailed requirements into a seamless package through a bespoke service specifically selected by you, the conference organiser. Our dedicated event coordinators are on hand to manage each client’s requirements and expectations, making the process of booking and paying to attend your conference a seamless process. This allows you time to concentrate on the important things that will make your conference or event special, without worrying about the administration that comes with it. We offer Gold, Silver and Bronze Packages which can be selected dependent on your budget and requirements. For more details of our service, call us on 0114 222 8822 or send an enquiry through our contact US page. 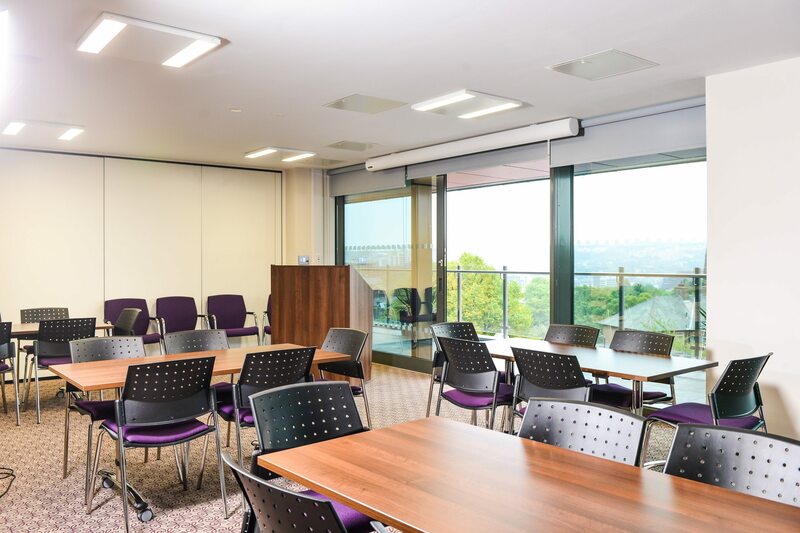 You can also view our full range of conference venues in Sheffield across the site. Book a day delegate meeting or conference with us get one delegate place free (minimum 10 delegates). With facilities at Halifax Hall hotel, our beautiful boutique 38 bedroom hotel as well as The Edge, The Ridge, Firth Court and Inox Dine we have facilities to suit every requirement. Simply quote this offer at the time of booking to make the most of your free day delegate place.